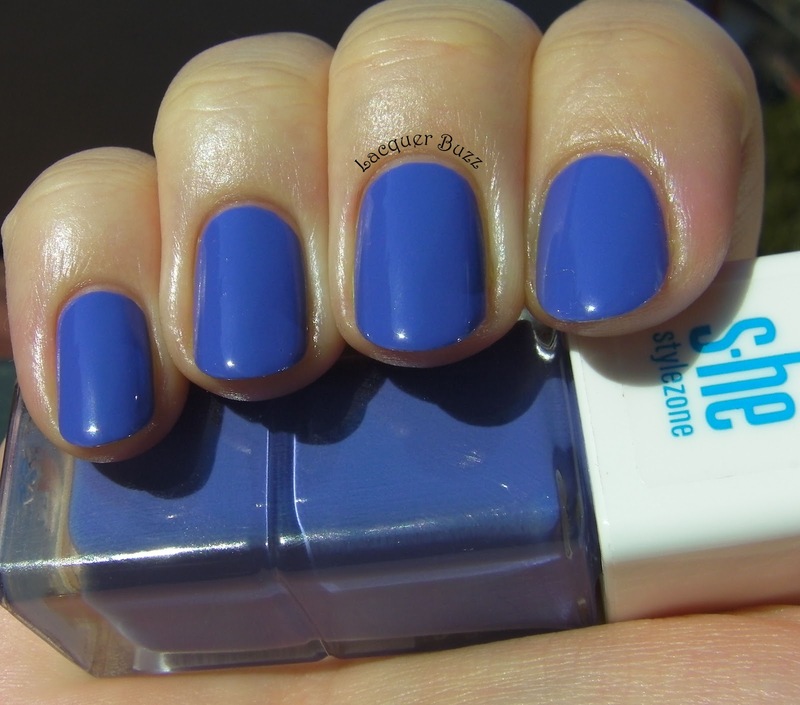 I really like this shade- as for me it's perfect for the summer! OMG!! I love this color!! So pretty!! Gotta love blurple shades! Gorgeous! It's so beautiful!!! You sure know how to pick those blues!! Nu-s exceptionale dar au unele nuante dragute. Cea albastra e tot la reducere. Am vazut-o ieri in DM cu vreo 7-8 lei. Eu am un creion de ochi mecanic de la ei si nu mi-a placut. Il am demult. Poate mai incerc si altele. Oh your wallet would not be that sad because these are quite cheap. You could probably get Color Club Pucci-licious (if you don't own it yet) instead. It's totally great for summer! This is actually more purple but still blue toned. A blurple actually. And thanks!